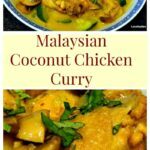 Cheats Malaysian Coconut Chicken and Potato Curry, easy no fuss dinner and goes great with some rice or naan breads. Yummy! 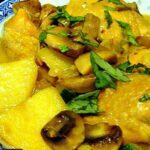 Cheats Malaysian Coconut Chicken & Potato Curry – Easy no fuss dinner and goes great with some rice or naan breads. Yummy! Cheats Malaysian Coconut Chicken & Potato Curry is delicious! 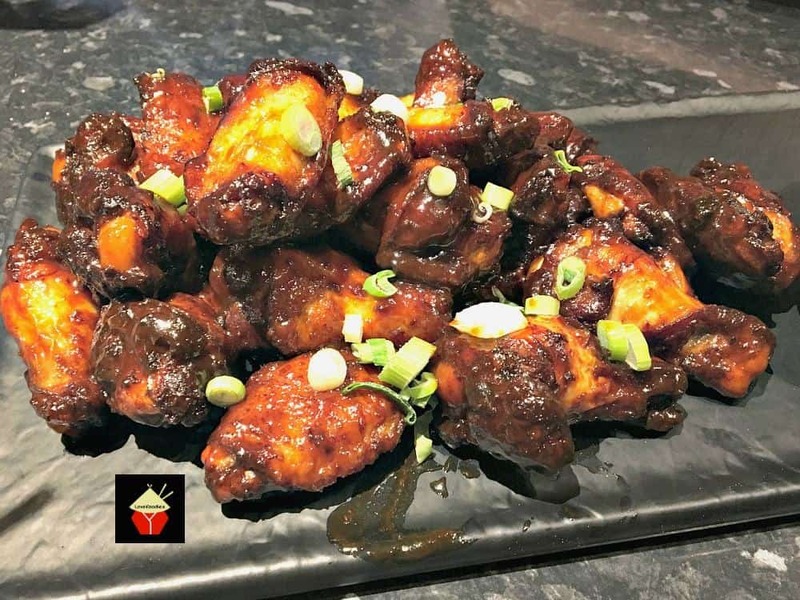 KARI AYAM DAN UBI KENTANG! How many of us can say that and remember how to say it at a later date? 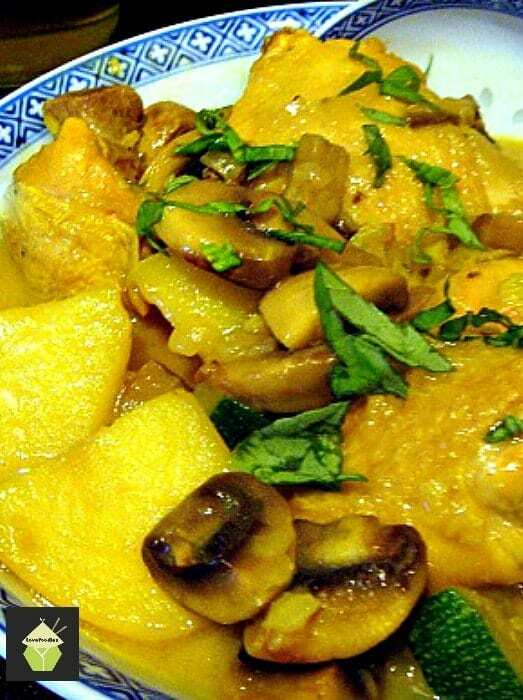 That’s the Malaysian name for this delicious curry, which in everyday words, is called a Chicken and Potato curry! I’ve called it a ‘cheats’ Malaysian Coconut Chicken and potato curry because many of us can feel a little overwhelmed when it comes to making curries. All those spices and what to do with them, how much to add, where to buy them, will they be too hot? Will I ever use them again? It can take a long time too, preparing all the spices if you make them from scratch. So this curry is called a cheats curry because you will be able to achieve an authentic Malaysian curry flavour, without the need to add all the zillions of spices, it’s super quick, and great served up with a plate of plain Thai Fragrant Jasmine rice. 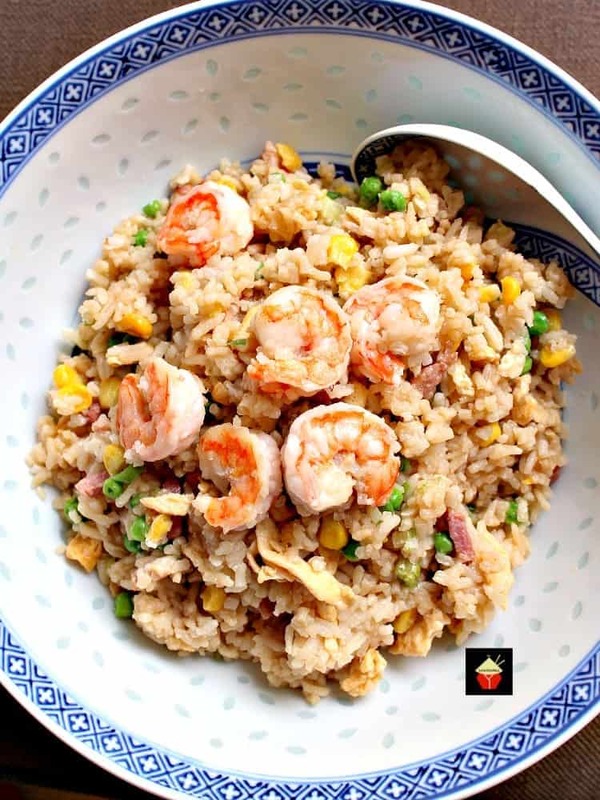 As a child growing up in Hong Kong, we had many culinary influences from Malaysia, and this recipe is one my mother would whip up in the kitchen during the week. It was never a hot chilli tasting dish, as mild curry powder is used. But I always remember the smell of the coconut mixed with the curry powder as my mum would be cooking. The flavour was a lovely creamy coconut, mixed with the chicken, the taste of the potatoes, all lovely and soft full of the curry sauce, and together with sauce all over the rice, it truly was a magical, refreshingly tasty dish. Of course, you can make the curry hotter to your taste..just add chillies or hot curry powder! So come take a trip with me to the Orient and explore some delicious flavours and smells. Once you’ve made this dish, you will make it over and over again! Please enjoy our Cheats Malaysian Coconut Chicken and Potato Curry! 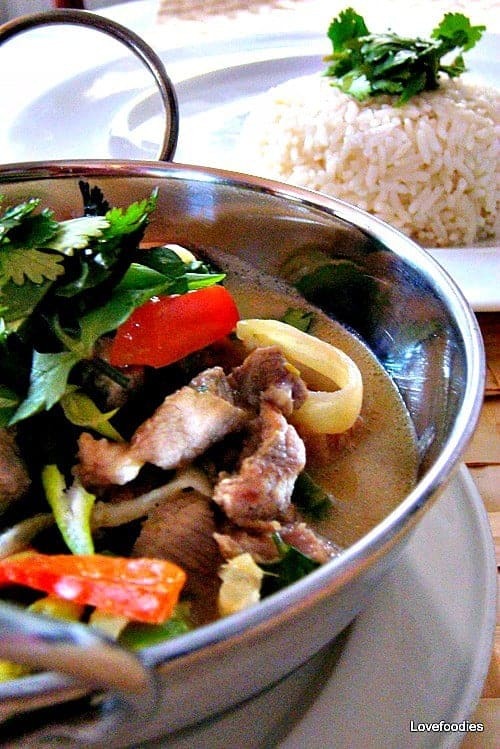 Serve with Thai Jasmine rice if you would like. 1. 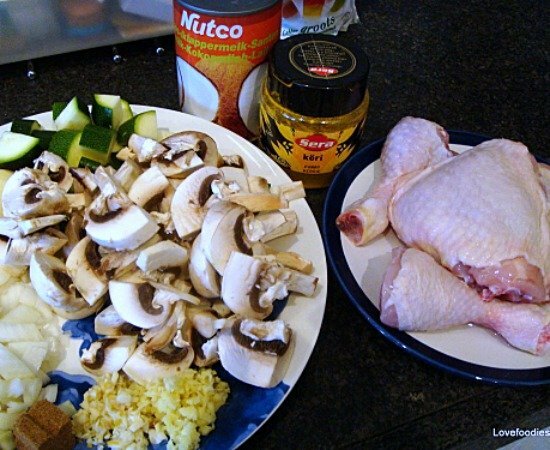 Chop courgettes/zucchini into 2 cm pieces, mushrooms quartered, potatoes peeled and cut into quarters. 4. 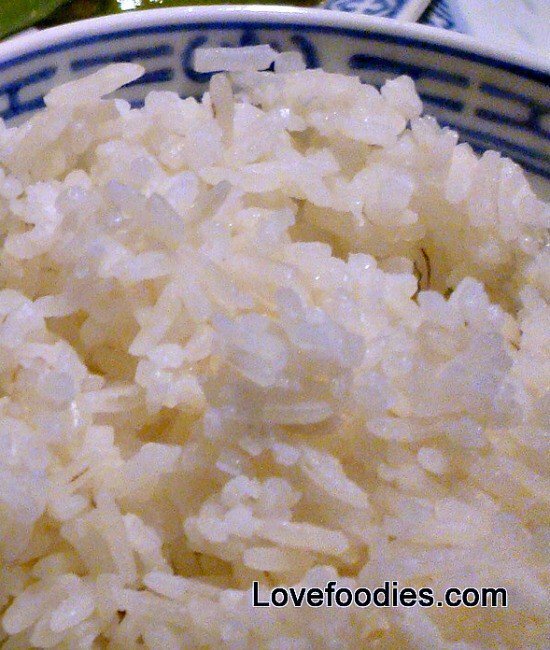 Start cooking rice if you’ve chosen rice to have with your curry. 5. Put vegetable oil in your pan and heat on medium. When it’s hot enough, add the chicken pieces and golden brown the skin all over. Add a little salt and pepper. Once browned, return to a plate for now. 6. Using the same pan, all the onions, garlic, ginger, mushrooms and curry powder. Fry gently until the onions turn transparent. Do not let them go brown as that will cause the dish to turn bitter. Add a pinch of salt. 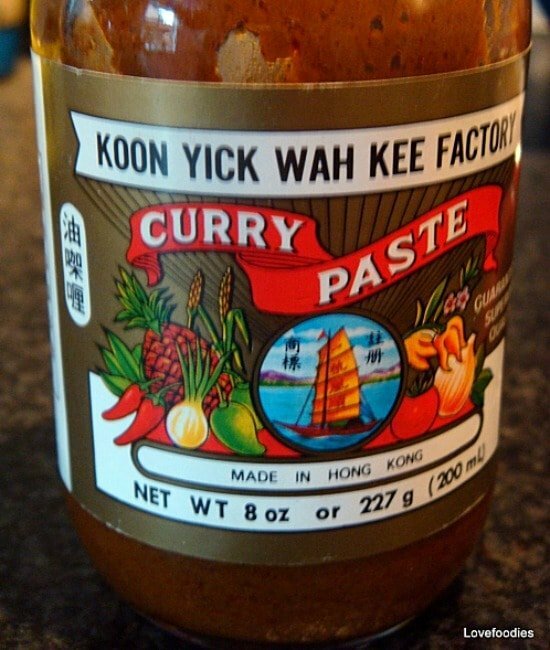 I like to add 1/2 Teaspoon of this curry paste…It is VERY, VERY HOT!!! 9. Five minutes before the end, check the potatoes are soft (stick a knife in one and see), and also check the chicken is done. Add the courgettes and stir a little to combine. Leave with the lid on for the last 5 minutes. 10. If cooking rice, it should be ready now. 11. 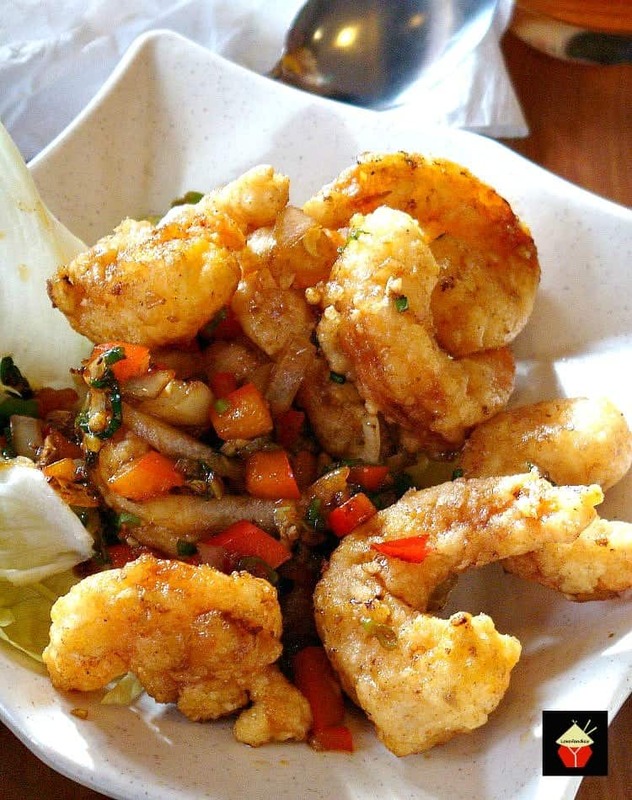 Garnish with a handful of chopped coriander/cilantro or fresh basil leaves and serve. 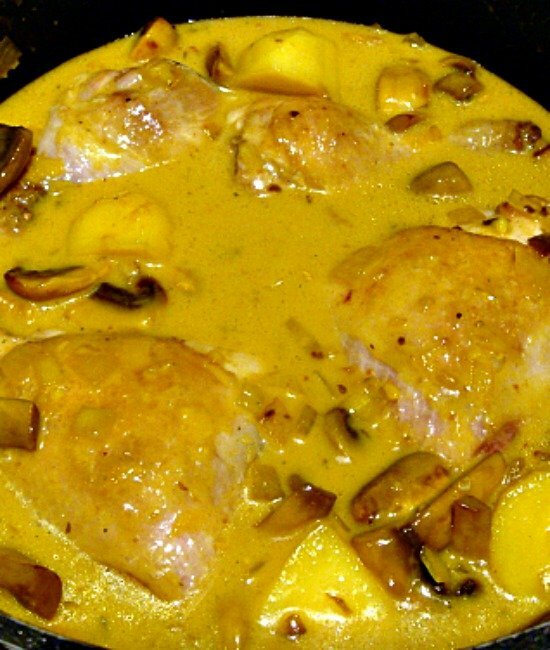 We’d love to hear from you and what you thought of our cheats Malaysian coconut chicken and potao curry recipe. Did you make any changes or add some other goodies? Let us know in the comments below. Thanks for reading and happy cooking! 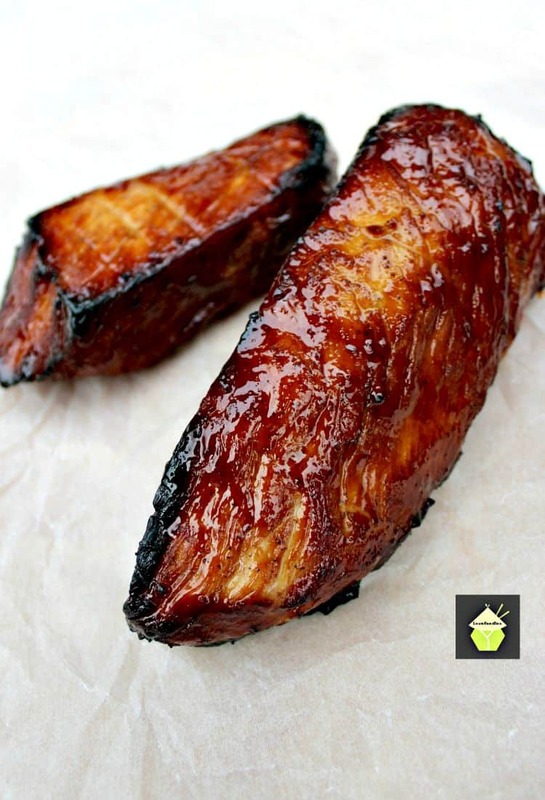 Here’s a few more of our popular Asian recipes for you to enjoy! This curry is called a cheats curry because you will be able to achieve an authentic Malaysian curry flavour, without the need to add all the zillions of spices, it's super quick, and great served up with a plate of plain Thai Fragrant Jasmine rice. Chop courgettes / zucchini into 2 cm pieces, mushrooms quartered, potatoes peeled and cut into quarters. Start cooking rice if you've chosen rice to have with your curry. Put vegetable oil in your pan and heat on medium. When it's hot enough, add the chicken pieces and golden brown the skin all over. Add a little salt and pepper. Once browned, return to a plate for now. 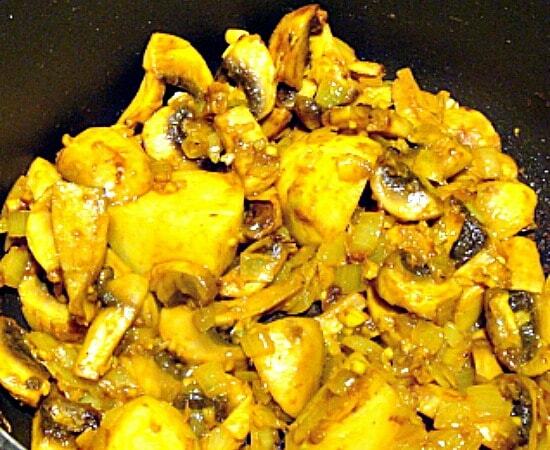 Using the same pan, all the onions, garlic, ginger, mushrooms and curry powder. Fry gently until the onions turn transparent. Do not let them go brown as that will cause the dish to turn bitter. Add a pinch of salt. Five minutes before the end, check the potatoes are soft (stick an knife in one and see), and also check the chicken is done. Add the courgettes and stir a little to combine. Leave with the lid on for the last 5 minutes. If cooking rice, it should be ready now.Garnish with a handful of chopped coriander / cilantro or fresh basil leaves and serve. oh Anne! I am so please your family loved it! 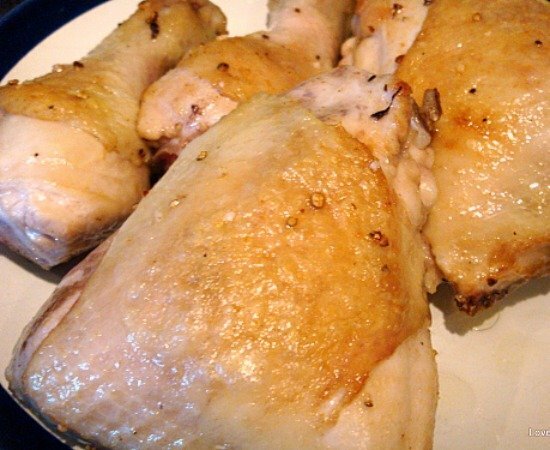 It is very versatile in that you can swap the meat and vegetables for whatever you have or prefer. The taste is certainly wonderful! Hi Shauna, thanks for your comments, and look forward to joining your party! This is something I would love to try. I never make Curry, because of the reasons you stated above… will I ever use the spices again, but I love that most ingredients here are some I always have on hand! Thanks for sharing with Simple Supper Tuesday. Hi Cindy, I’m glad you have been inspired to try the curry. I am sure you will enjoy it! This sounds wonderful Mary. Thanks for sharing it on my facebook page. Pinning it.